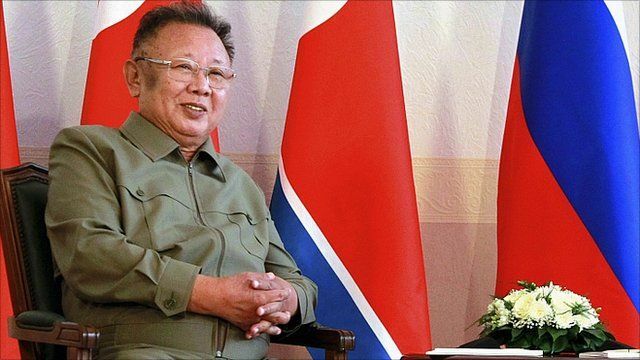 Kim Jong-il in talks with Medvedev Jump to media player North Korea's reclusive leader, Kim Jong-il, is making his first trip to Russia since 2002. He is holding talks with President Dmitry Medvedev in Siberia. North Korea's jail camps 'growing' Jump to media player An Amnesty International report says there are signs that a growing number of people are being sent to political prison camps in North Korea. 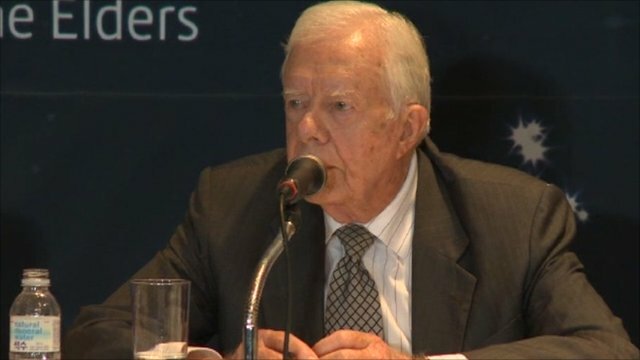 Carter urges food aid for North Korea Jump to media player Former US president Jimmy Carter has accused the US and South Korea of human rights violations against North Koreans by withholding food aid. North Korea's reclusive leader, Kim Jong-il, is holding talks with President Dmitry Medvedev, on his first trip to Russia since 2002. The meeting in Siberia is expected to focus on Pyongyang's nuclear programme, energy and food shortages in the North. North Korea is in talks with Russian gas monopoly Gazprom about a pipeline through its territory to South Korea. The BBC's Leonid Ragozin reports from Moscow.